Badmul, a remote village nestled in Odisha's famed Satkosia forest reserve, is not well known as a tourist hotspot. However, an eco-tourism project launched there by the state government in 2016 and driven by community participation, has turned the village into the highest revenue grosser when compared to other community-based projects in the country. In 2018-19, Badmul raked in Rs 1.3 crore from eco-tourism, bolstered by 3000 visitors, 20 per cent of whom were foreign tourists from Germany, France and Britain. “This is the highest ever earning recorded by a village in the country from any community-based project. Odisha's eco-tourism model stands out because 90 per cent of the revenue is ploughed back to the local community. By offering them a sustainable livelihood option and empowering them, we have made a big success out of the eco-tourism projects,” said Anshu Pragyan Das, divisional forest officer (wildlife division) and deputy conservator of forests (eco-tourism), Odisha forest department. Titled 'Satkosia Sands Resort and Nature Camp', the project comprises nine tents pitched on the Mahanadi river bed and seven cottages on the hill slopes overlooking the Satkosia gorge. 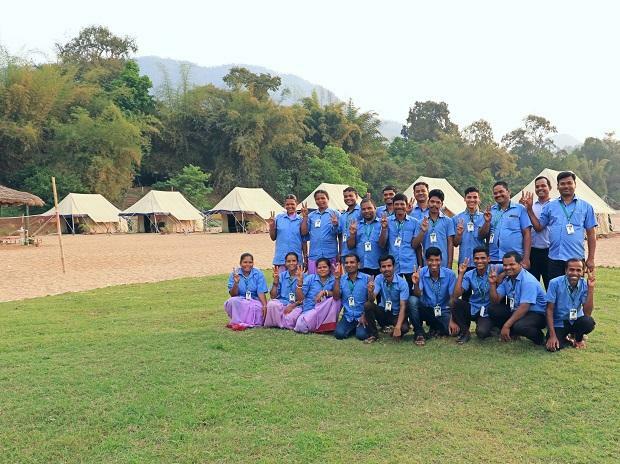 Odisha has 40 community-managed nature camps. In this financial year, the state government has already earned Rs 5.6 crore from eco-tourism projects, offering employment to around 1000 villagers dependent on forests. The nature camp at Badmul is managed by 28 villagers with the project providing sustenance to 5 - 6 villages. Prior to the launch of the project, a majority of the inhabitants used to migrate elsewhere or depend on forest products for livelihoods. Some even fell back on poaching and trading in the meat of wild fauna. The eco-tourism project has obliterated poaching and ended forest fires, the two most perceptible threats to wildlife habitats. The nature camp runs a programme- 'Poachers turned Protectors of Satkosia' where the tourists can meet the former poachers, now rehabilitated by the forest department. The people managing the project have seen a surge in their incomes. From Rs 20,000 earlier, their monthly earnings have shot up to Rs 1.5-2 lakh this year. The stakeholders work in different capacities in the camp - boatman, eco-guide, accountant, cook, service personnel and manager. Badmul eco-tourism has profited the adjoining villages as they supply vegetables, fish and milk to the camp on a daily basis. Earlier, the same nature camp area was used by sand mafias for the collection of illegal sand from the river bed in connivance with the local villagers.